1) It's probably possible to vote more than once per poll, but please don't. If I believe that someone is voting repeatedly, I will throw out those results, repost the poll, and seriously question that person's priorities. 2) If you want to link to a poll on Twitter / Facebook / your blog / whatever and encourage your friends to come and pump up the support for your favorite plants, you are encouraged to do so. 3) You are also encouraged to leave comments on Rumble posts, if so moved. 4) All photos will enlarge if opened in a separate window/tab. 6) All polls will be open for three days. 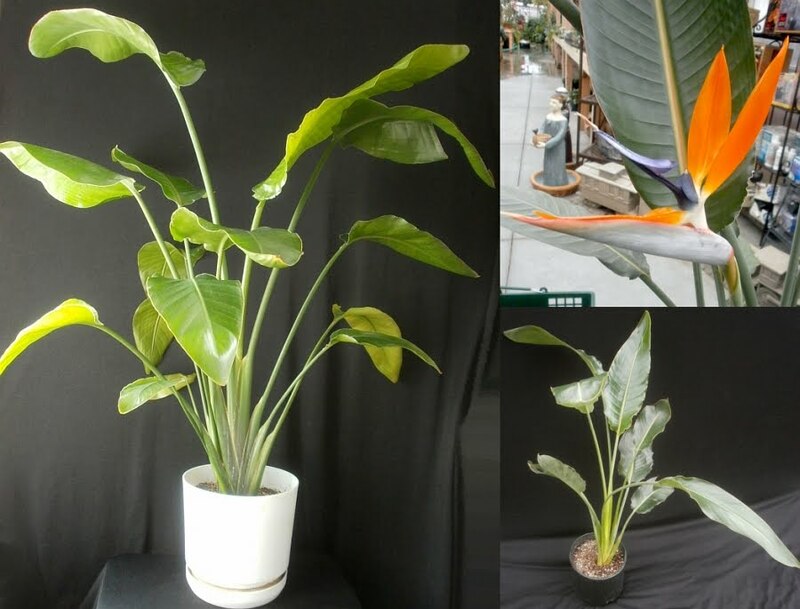 Clockwise from left: Strelitzia nicolai, S. reginae flower, S. reginae. 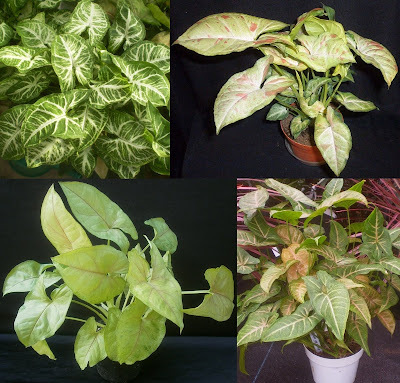 Clockwise from top left: Syngonium podophyllum 'White Butterfly' (? ), NOID (possibly 'Confetti'), 'Pink Margarita,' NOID. 1 I'm deciding according to a hypothetical situation in which all of my houseplants are gone, as are all the other houseplants of the world, except for one producer/supplier/retailer. Said person is offering to restock me with one or the other of the plants in question but refuses to give me both. Which one would I choose? Hmmm, Couple of tough ones here. 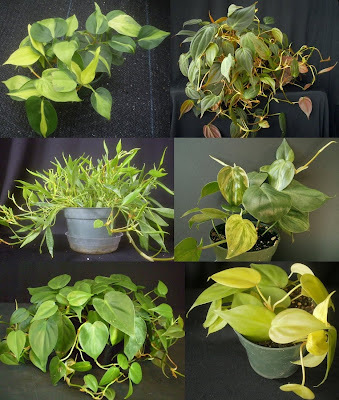 Arrowhead vine and heartleaf philodendron are pretty much the same to me: vines that tolerate lots of conditions and can pretty much occupy the same space and function in a household. I haven't grown the schefflera and the ficus, but they have very similar looks. Tough to choose one over the other without direct experience. 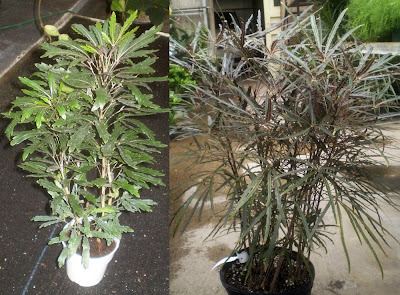 Dizygotheca ended up a schefflera? I didn't see that one coming. 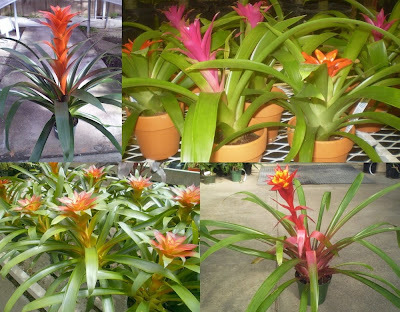 Some of my 'votes' are walkaways - chose between Guzmania and Strelitzia as houseplants? Ew. Strelitzia does pretty well here in the landscape, given enough water. Syngonium - I can never manage to keep this plant compact. It ends up lanky, falling over and a general hot mess within a matter of months. This might be due to window gardening in grey Michigan, I don't know. 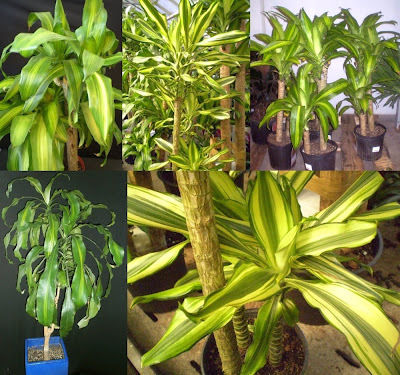 I tend to end up the caretaker of living funeral plants, and there always seem to be a bunch of these in those arrangements. Question for the Hive Mind: Solanum sp.